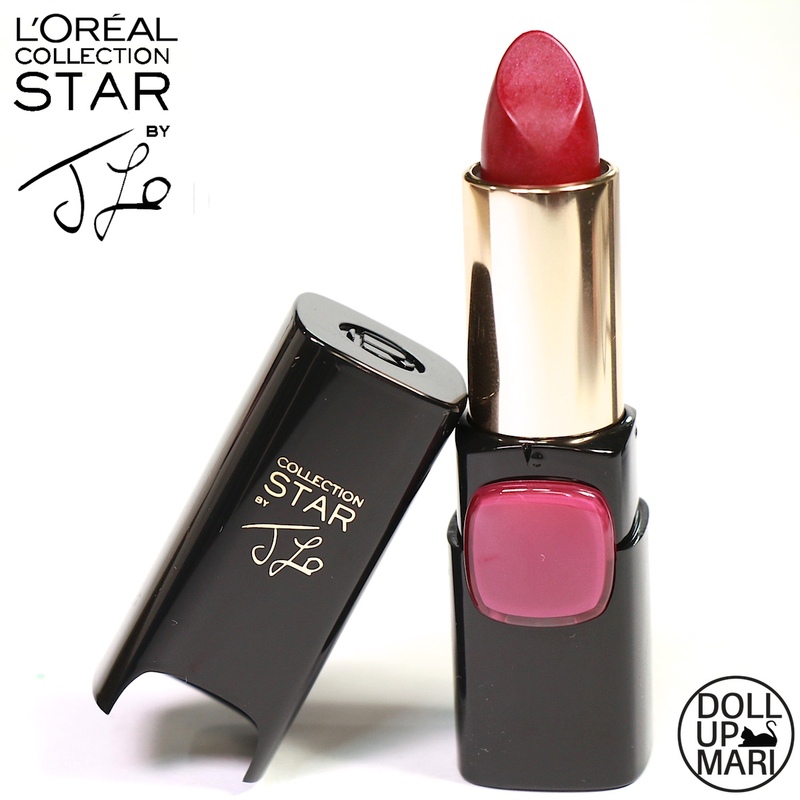 So this post in specific is about Collection Star J.Lo, or Rose Lotus. 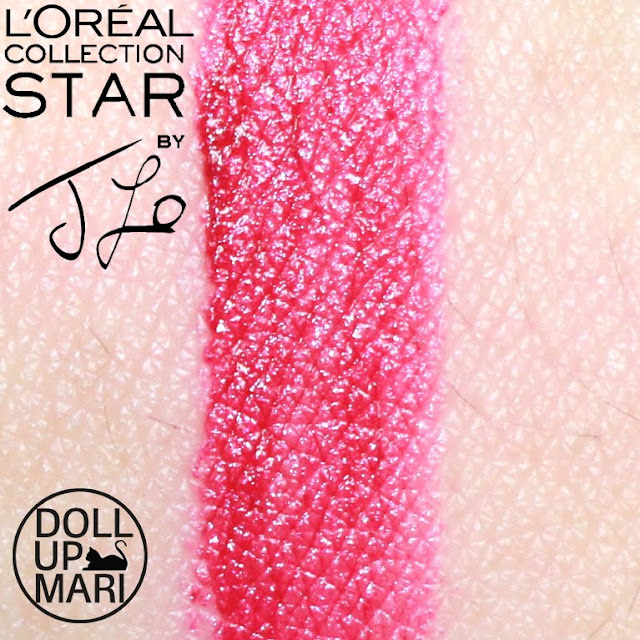 In our territory its other name is Rose Lotus, but I think in other territories even the bottom of the lipstick will say J.Lo, too. 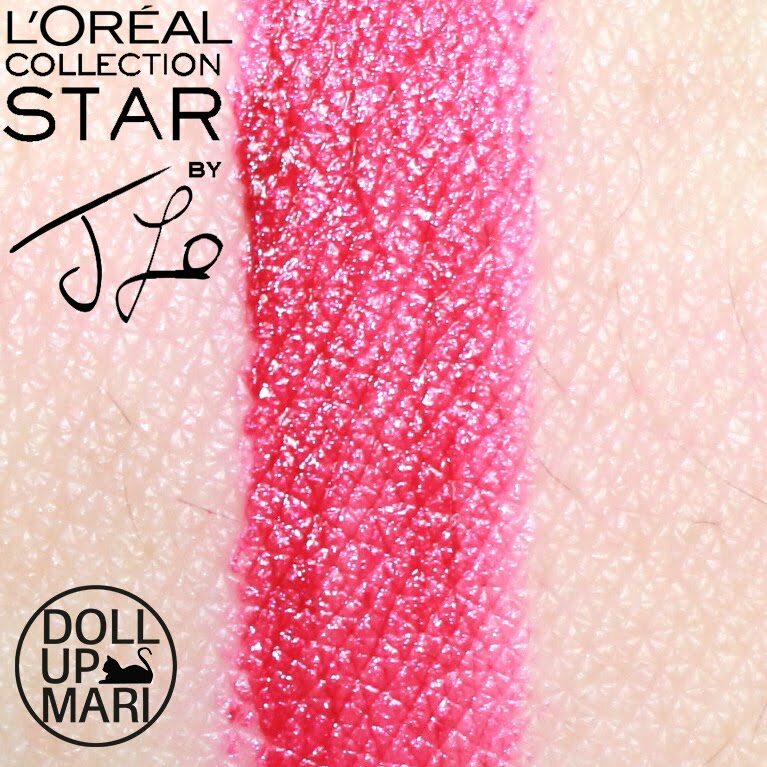 So when I first saw this, I thought this'd be a Lorde levelzz kind of goth lipstick. But well, it just kinda demonstrated how much I stick to mellow pinks hahaha. This is actually more tame and more wearable than that. 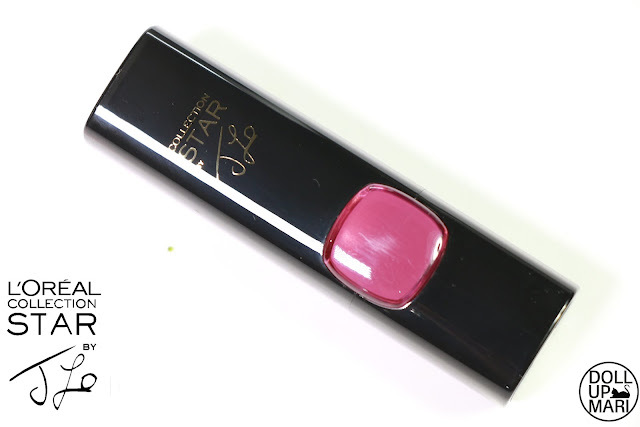 This is what would count as plum pink or wine pink in most circles. I apologize heavily if I cannot guarantee color accuracy on this shade in particular because I've learned the hard way through my addiction to purple eyeshadows that purple tones sometimes don't show up so well in photos. This is more purple than how you see them in these photos, so this doesn't look so red in real life. It looks purple enough for me to have first thought that it's a Lorde color. So this is how the swatch looks like. 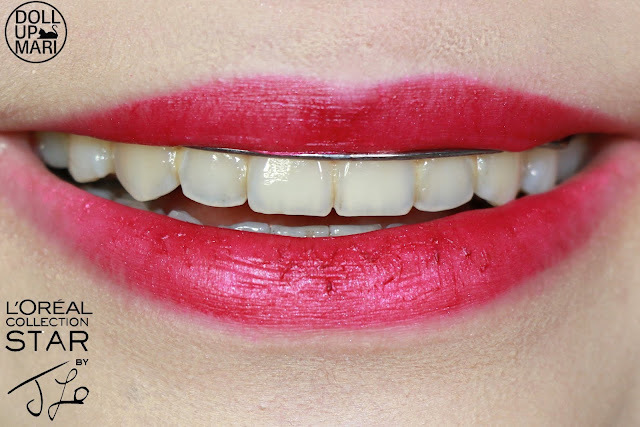 Since this shade is sooo purpley in real life, it helps in a big way to create an illusion of whiter teeth. 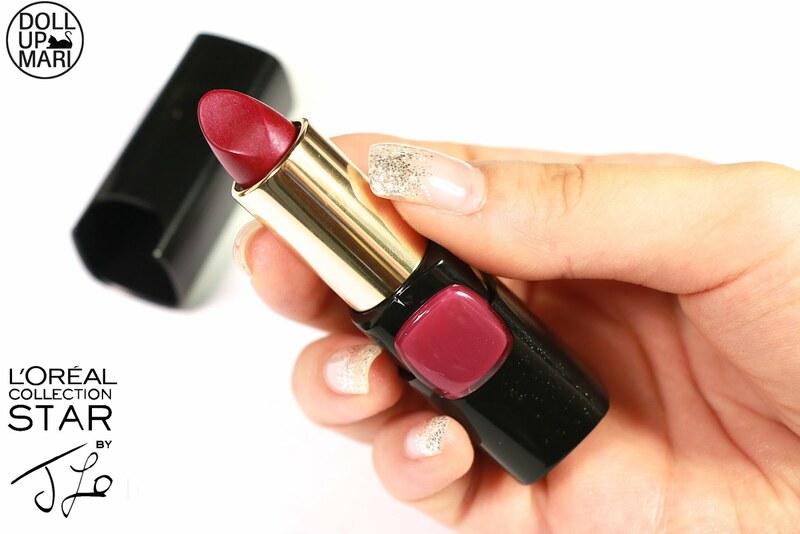 Since this is also very vampy by nature, this will really be the focal point of your look. So this is how it looks on me. 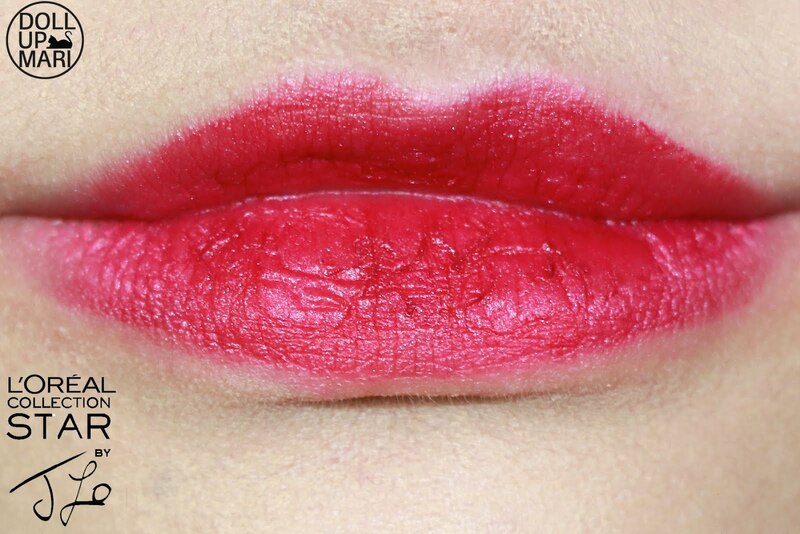 This is not the shade I'd personally buy for myself, but I'm amused with how it turned out. It was more wearable than I thought it would be. It looks vampy to a certain extent, but it really will end up being remembered for being plummy rather than gothic. I think that this just gave me the street cred I should be having for someone my age. I'm young, but I like to look even younger than what I really am, which is why my makeup choices for everyday are the teenybopper kinds. In real life I look more mature and career oriented with this lipstick, for reasons I can't really explain. Like I don't think Lorde lipstick will make me look job ready, and yet this one does. 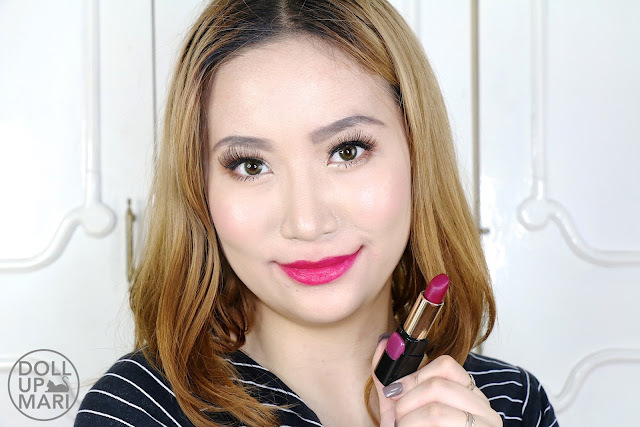 I think that this will be a good addition to any lipstick collection that still lacks something dark because this shade is dark enough to have a life of its own but light enough to actually be usable for a good period of time. I have no idea when the crazy rainbow lip trend will end, so I think it's wiser to experiment with something like this over the suuuper dark and near-black lippies out there. 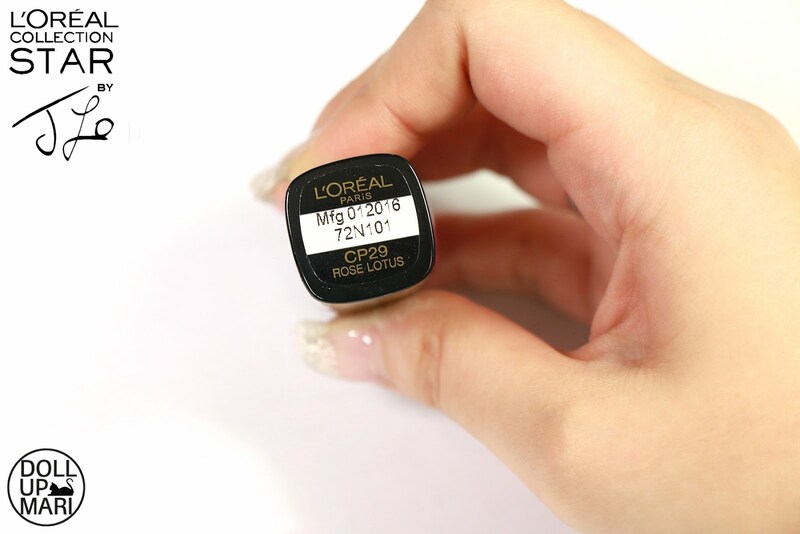 According to Verna Marin, chief makeup artist of L'Oréal Paris Philippines, this will work best on morena skintones. According to Marilene Perez, writer of this blog, you need this and all the other shades in the collection because every shade is too pretty to not buy.